The Philippine Air Force responds. . .
blishment is pursuing in connection with UFOs. 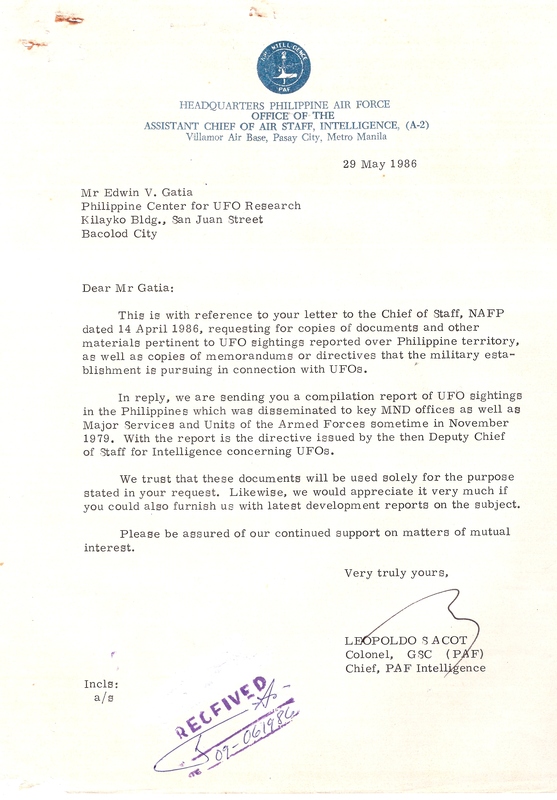 of Staff for Intelligence concerning UFOs. you could also furnish us with latest development reports on the subject.